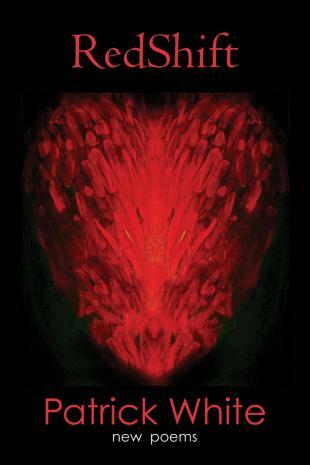 Local author Willow-Marie Power will be here on Saturday, February 22 from 12:00 to 2:00pm to sign copies of her new book Real: Coming of Age – Keeping Your Soul. 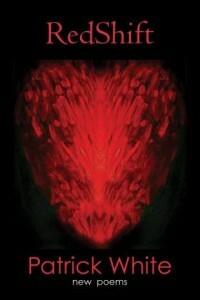 She will also be reading from her book at 1:00pm. Readers will recognize Robert C. Sibley as the author of The Way of the 88 Temples, which came out in 2013 and tells the story of his pilgrimage around one of Japan’s four main islands. 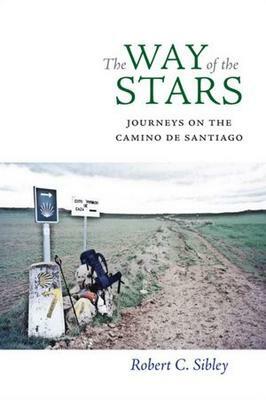 In this book he takes us on an earlier pilgrimage he made along the famous Camino de Santiago. This crosses northern Spain and leads to Santiago de Campostelo on the coast. It crosses the Pyrenees, the green valleys of Navarre and Rioja, the plains of Castile and Leon and the alpine mountains of Galicia. It is a trip of five hundred miles and Sibley walked it in five weeks. The result is an intriguing book, full of the people he met, the beauty of the countryside, unusual plants, unknown birds, lovely old towns with their cathedrals and long views. In spite of some difficult days of blisters and very sore leg muscles (which disappeared as he got used to walking) he found it “one of the most satisfying travel experiences of [his] life.” He loved the periods of solitude which brought back memories he hadn’t thought of for decades. He was not seeking for a renewal of his religious beliefs but there were many times when the beauty and mystery of creation brought these back to him. At the end he says the real gift of the Camino was to give him a place in his imagination he could return to and recreate a heightened awareness of the world – an awareness that disappears in our world of technology, rush, and consumerism. Sibley is an award-winning Senior Writer at The Ottawa Citizen, and Adjunct Professor in political science at Carleton University. Robert Lalonde, along with his translator Jean-Paul Murray, and Patrick White will be here to sign their newest books, The Last Indian Summer and RedShift, respectively, on Sunday, February 16 from 1:00pm to 3:00pm. “Michel’s village is a prison where life is to be feared and betrayed, where duty and hypocrisy are the fashion. His Native friend Kanak will help him escape, introducing him to nature, freedom and forbidden games, teaching him to balance spiritual needs and natural desires. But Michel’s relationship with Kanak shocks the village because it involves an Indian. For his crime, the clan forbids Michel from seeing Kanak again and sentences him to confinement and solitude. Patrick White is the former poet laureate of Ottawa. He has published eight books of poetry and his work has been translated into five languages and appears in hundreds of national and international periodicals and anthologies, including Poetry (Chicago), Dalhousie Review, Texas Quaterly, The Fiddlehead, and Georgia Review. Winner of the Archibald Lampman Award, Canadian Literature Award, Benny Nicholas Award for Creative Writing, he was also runner-up for the Milton Acorn People’s Poet Award. 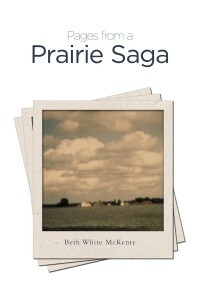 Local author Beth McKenty will be here on Saturday, February 15 from 12:00 to 2:00pm to sign copies of her new novel Pages from a Prairie Saga. “It’s the last day of July, a bright, perfect day for harvesting a crop. 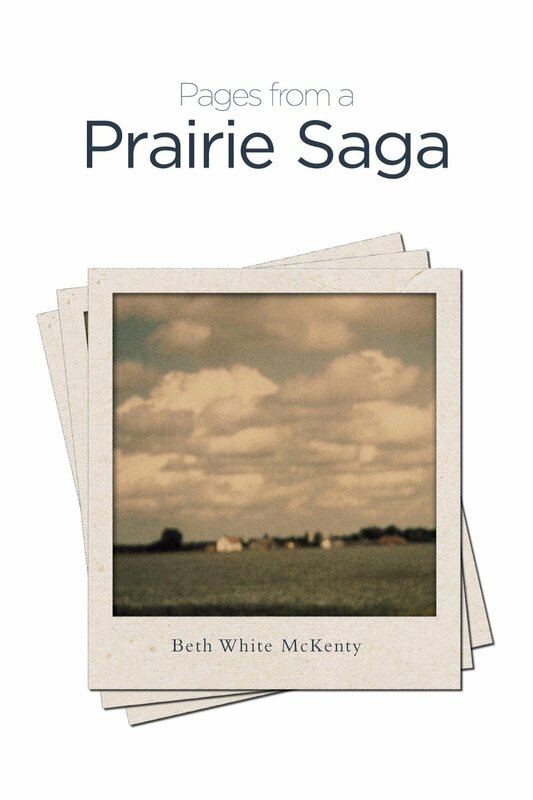 The flat, sometimes rolling land in southern Manitoba, chosen in 1880 by an underage, hopeful settler from Ontario, later home for almost the first six years of my life, refuses to be forgotten. Beth is a retired teacher who has lived and taught all over the world. She is a recent winner of the Governor General’s “Caring Canadian” Award. 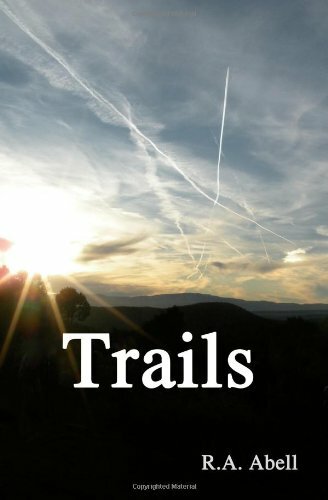 Local author Bob Abell will be in the store on Sunday, February 9 to launch his newest novel Trails. He will be here from 1:00pm to 3:00pm and will also be available to sign copies of his two previous books: a novel called The Corporation and a business book called Salvaging Capitalism Saving Democracy. “When Shelley, a 25-year old Ph.D. ecology student, is caught in a sudden rainstorm while hiking in the canyons of an Arizona mountain range, her life takes an unexpected turn – throwing her highly organized and disciplined personal life into turmoil. Local author Margaret Singleton will be here on Saturday, February 8 from 12:00 to 2:00pm to sign copies of her memoir The Box in the Closet: My Journey to Claim Who I Am. “This powerful and unusual story contrasts the Bicknells, a wealthy and influential family in Rosedale, Toronto, Ontario, into which I was born out of wedlock, with a farm couple near Brockville, Ontario, who adopted me in 1935. At the age of sixteen I began to feel unsettled and lost. Eighteen years later I finally acted on that feeling and began the search for my lost parents. Using documents I found in a box in the closet of my adoptive mother after her death, I have retrieved the moment when a sleek limousine emerged from the dust of a gravel road delivering me to my new home. We look forward to seeing you all here for this great event! Patrick Leigh Fermor was a famous British travel writer whose two books, A Time of Gifts and Between the Woods and the Water describe the time he walked across Europe, 1933-35. But they only get part of the trip. 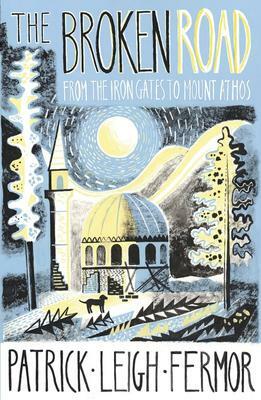 The end section, from the Iron Gates of Rumania to Constantinople remained unwritten at the time of Fermor’s death in 2011. Fermor went to war in 1939, serving in occupied Crete where he won the DSO. He lived a good part of his life in Greece, and wrote books and articles for U.S. and U.K. publications. He had planned all along to finish the third book on his boyhood adventure and by the 60’s had a typescript almost ready. It was not until his death, however, that two of his literary executors brought the work up to date. The result is a fascinating book by this beloved writer who spun his pound-a-week allowance into amazing encounters, from sleeping in the bush to the occasional luxurious stay in friendly embassies along the way. The editors note that “in retrospect it seems as if the whole continent through which he travelled was sleepwalking towards disaster. The Balkans were still in the grip of the Great Depression, and of deep peasant misery. The twin behemoths of Nazism and Bolshevism were already looming huge. In Germany, Hitler had come to power the January before, and many of those whom Paddy encountered – the dashing aristocrats, the Rumanian Jews, the Gypsies – seem marked, in retrospect, by foreboding.” All in all it makes for a wonderful read. Yes, February has just arrived even though, judging by the recent severe cold, it feels as if it has been February for several months. One bright spot is that more people are curling up in the warmth with a good book! Perhaps confirming that escapism is a factor,our best-sellers list for January (see below) shows a stronger inclination to works of fiction than is usual, with several new titles making the list. History is still popular with local historian Tim Cook (“The Madman and the Butcher”) joining Margaret MacMillan (“The War that Ended Peace”) on the list in informing us about the “Great” War in this anniversary year of its outbreak. February completes our first year as owners of the bookstore. It has gone quickly. The financial results for the year were very good with a significant increase in revenues and we have been able to put money into improvements in the bookstore such as new equipment and into increased choices of stock. Some challenges remain, of course, but we’re very optimistic about the future. In the publicity surrounding the new ownership last year we were continually asked the question ‘Why on earth did you do that?” We had two responses. “We think it will be fun” and “We think the bookstore can become a self-sustaining business”. The former has proven true. There has been much to learn but, with the help of our superbly knowledgeable staff, it has been fun. It’s a great place to work except for the temptation to buy books every day. My excuse is that it’s now part of my job to read more books! As for the second response, we have taken an important step in that direction. Some of the things that we learned in the last year might interest you. The bookstore is not at all like a library. It is much more dynamic. For example, the average “age” (i.e months the stock has been on the shelves) is about 4-5 months. The average age of the books sold is less than 3 months although this is weighted by the many special orders that are only in our hands for a few days. These numbers are typical for successful bookstores today. Books go back and forth to the publishers (and a lot of paperwork is generated). Somewhat to my surprise, the book-selling and book appreciation business is also a very social activity. I’m sure we have many “lone” readers but social activities attract many and influence sales. People come in to the bookstore to chat about what they’ve read or might want to read. Our staff gather impressions and pass them on to other customers. We have expanded to two Book Discussion Clubs because of popular demand. Our Books n’Brew sessions giving the opportunity to meet authors (in collaboration with the Clocktower pub) were almost all sold-out, books providing the key to a pleasant social evening. Book launches were similarly popular. We’ll be doing more events in the coming months. Please check our calendar page. Some areas that we hope to improve on are sales to schools and to teachers for instructional purposes. We offer discounts to encourage such sales (contact any of our staff to discuss your needs and hear how we can help). We have longstanding connections to a few of the local schools- even suggesting lists of titles for school prizes -but there is room to expand our services to others. We also serve some libraries in small municipalities and would be pleased to help more there too. A final comment is how positive an experience it has been to be part of this neighbourhood, to support neighbourhood initiatives whenever we can and to collaborate with other neighbourhood businesses. Thank you everyone.